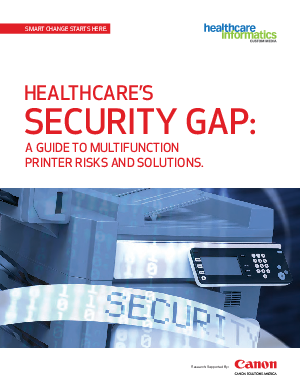 > Research Library > Canon Solutions America > In Healthcare, Printer Security Can’t Wait. Learn Where the Gaps Are. Help Keep Patient Data Secure.